And just because I’m in the Luck of the Irish mood . . . you get STATION NUMBER 3 FREE. 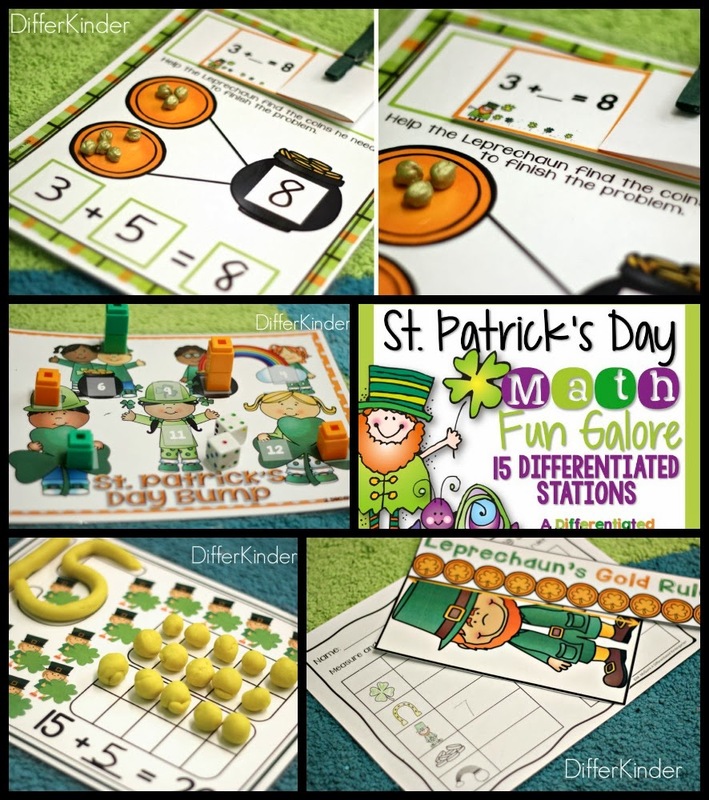 St. Patrick’s Math Stations Galore has 15 Station activities from which you can choose. For my own classroom, these are the stations I will be using this for this month and how I’m going to differentiate them for my students based on their level of readiness. You’re classroom may be very different than my own, but I think this might help give you an idea of at least how you might set them up. If you’d like a copy of this plan, just click on the picture below and you can grab the PDF. This station allows students to work independently as they practice finding the missing addend. After students work out the problem on their playing mat, they open the card to see if they have the correct answer. 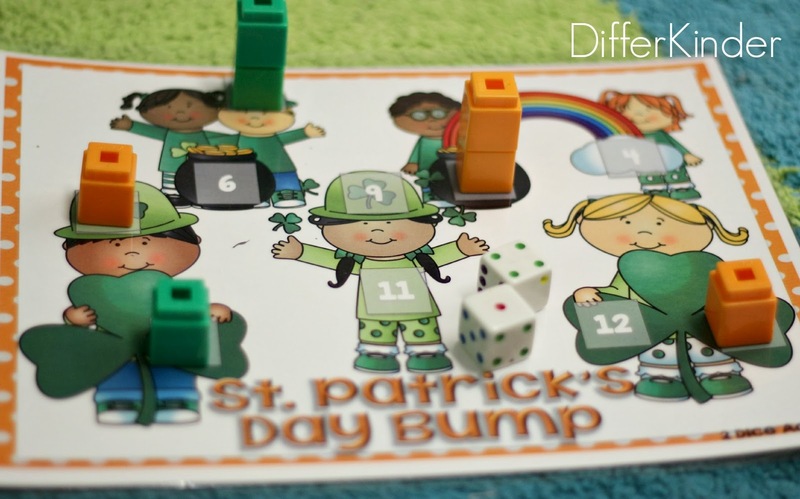 I like to use fun, seasonal manipulatives for this activity (rainbow erasers, small shamrocks . . . ). 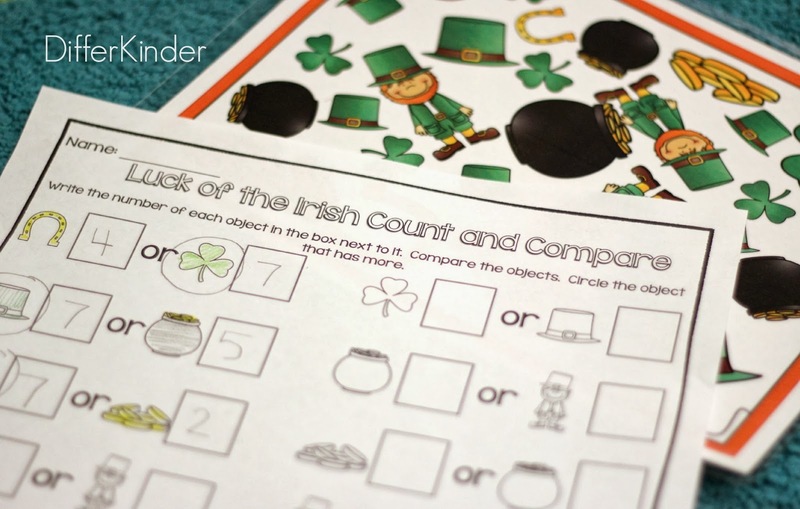 This time, they are using leprechaun gold to figure out their answer. My students love bump! This one has a two dice version and for those students that need a bit more challenge, there is a 3 dice version. 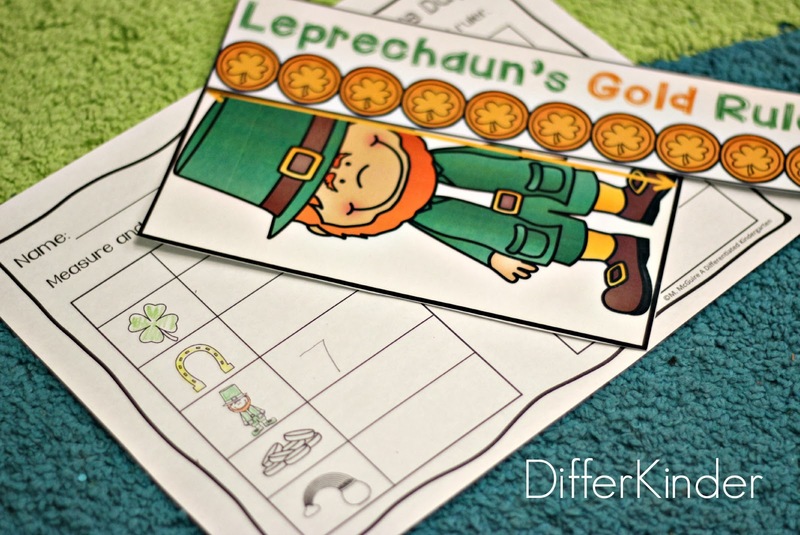 Station 3: Leprechaun’s Love To Race to 30, 50 and 100 (This one is a freebie!) 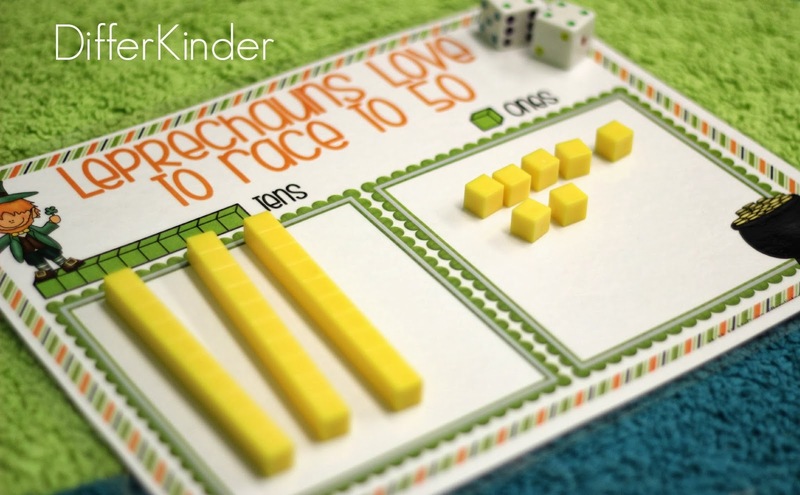 I first found ‘race to 100’ games from Oceans of First Grade Fun a couple of years ago. I loved this game but knew that it needed to be differentiated for my kindergarten friends. Since she was nice enough to agree to let me use her idea and her’s was free, this one is too. It’s definitely a class favorite. Get your freebie by clicking on the picture below for Leprechauns Love to Race. There is a standard, nonstandard and estimation option for this station. There’s just something about measuring ‘stuff’ that kids love. 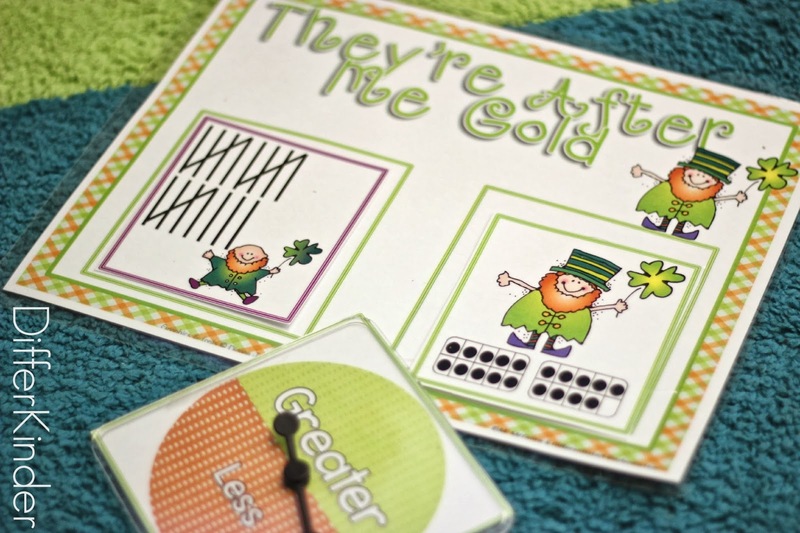 Station 5: Self-Correcting, Independent St. Patrick’s Addition and Subtraction Fun. Once again, INDEPENDENT . . . love these stations because students correct their own work and know immediately if they need to figure out where they went wrong. This one is differentiated to address addition to 5, addition to 10, subtraction from 5 and subtraction from 10. This station is play very similarly to the traditional card game of ‘war.’ It can be differentiated by offering students written numerals, tens frame values, tally marks or number words. 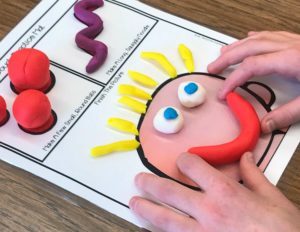 This is a fluency game that your will help your students build automaticity in either counting, adding or subtracting depending on their level of readiness. 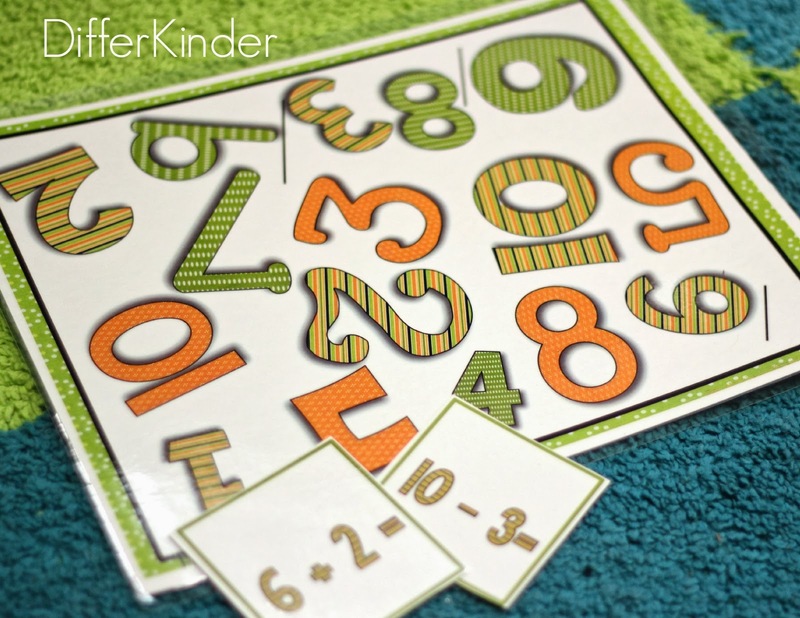 You can differentiate even further by offering numbers for adding to 5 or to 10 and subtracting from 10 or 5. Choose a black and white or color option for this station. There are three different answering sheets from which to choose. Looking for even more stations, don’t worry! This entire 199 page packet has 15 total math stations. There is something for everyone. 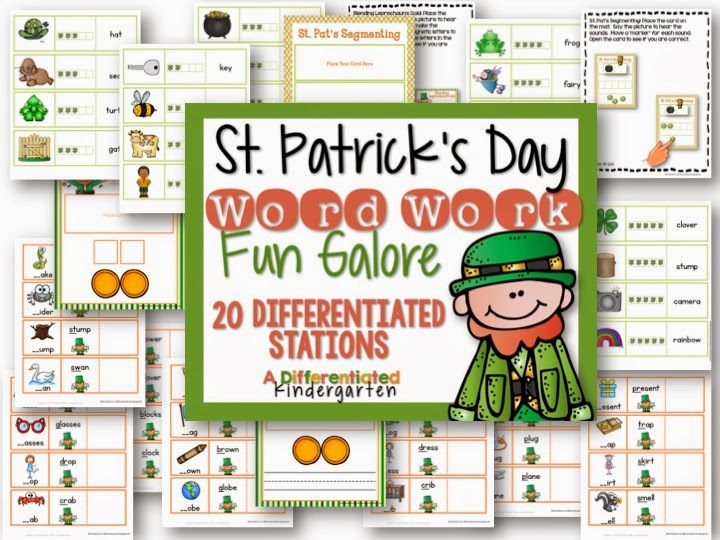 And if you’d like something similar for Word Work, check out St. Patrick’s Day Word Work Galore. How many stations does that one include? How does 20 differentiated stations sounds? The packet was so big, it took four preview pages just to fit all the activities in so you could check them out. Click on the picture below and download the preview to see the entire set. Thanks Marsha! Your freebie will be great for next week. We have been working with tens and ones. Love the idea!